A driver who had no insurance, driving licence, road tax or valid MOT has been stopped by Derbyshire Police officers in Shirebrook. The man was stopped near the graveyard Common Lane at about 10am this morning, January 29, and his Peugeot vehicle was seized by the police. 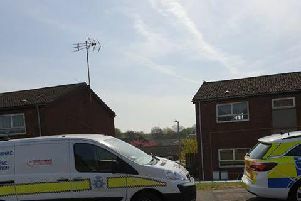 A police spokesman said: “Our officers stopped the car in Common Lane, Shirebrook at 10am today. A tweet from Derbyshire Roads Policing Unit added: “No insurance. No licence. No MOT. No tax. Car off to different type of graveyard now.